The StratusLab architecture uses a distributed database at the core to hold the full state of the cloud. This simplifies all of the other components of the system by allowing them to stateless and by acting as a means for coordinating the components of the system. StratusLab uses Couchbase for this distributed database. It was chosen because of its ability to store and to index JSON-formatted documents efficiency, closely matching the needs of managing cloud resources through the CIMI data model. It is easy to deploy for small database, while retaining the ability to scale to very large systems. Because all other StratusLab components rely on having access to the Couchbase database, it is the first component that must be installed. The community version is open source and released under the Apache 2 license (the same as for StratusLab). StratusLab uses this version for all of its own deployments and tests. For convenience, the RPM package for Couchbase is included in the StratusLab yum repository. The enterprise version requires the purchase of a commercial license for anything other than small test deployments. The commercial support may be interesting for mission-critical cloud infrastructures. StratusLab should work with the enterprise version, but does not require it. The enterprise version is not systematically tested by the StratusLab collaboration. All of the listed ports must be open to communication between the nodes participating in the Couchbase cluster. All ports except those with an asterisk must be open to cloud services accessing the database. Couchbase is written in Erlang, but StratusLab uses the Java and Python APIs to access the database. The Python API depends on the C API, so it must also be installed. The usual service mapping puts the Couchbase instances on the “cloud entry point” nodes, along with the CIMI interface. 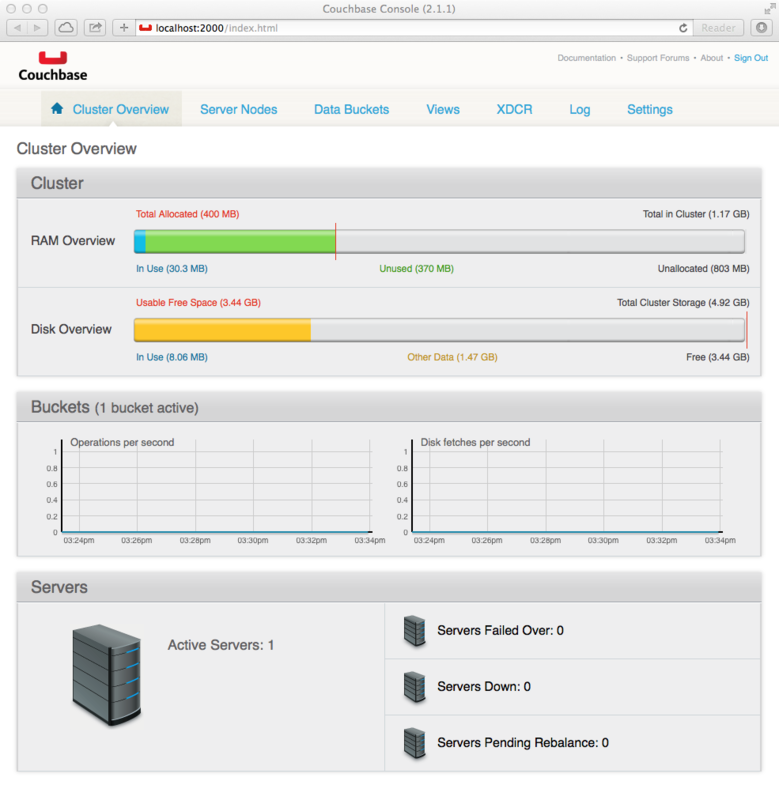 The instances on these nodes form the Couchbase cluster for the full StratusLab cloud. The minimal deployment has only one “cloud entry point” node and hence only one Couchbase instance. Production StratusLab deployments should have more than one Couchbase instance in the Couchbase cluster for reliability and redundancy. Although the default location for these instances is on the “cloud entry point” nodes, you can deploy them on dedicated nodes or other cloud services nodes, if needed. The installation of Couchbase consists of installing the RPM package and then initializing a Couchbase cluster. The StratusLab installation commands automate the process. Log into the node that will function as the “cloud entry point” node for your cloud infrastructure as “root”. Verify that all of the prerequisites detailed in the previous chapter are satisfied. Install selected services of the StratusLab cloud distribution. This is the command that we will use to automate the installation of the cloud services. You can get more detailed output if you add the -vvv option. This command installs the necessary packages and then sets up the database. The last line should indicate that Couchbase has been started; if successful you will see an “OK” indication. The installation creates an administrator account for the database called ‘admin’. The randomly generated password for this account is available in /opt/couchbase/cluster-password.txt. in a separate terminal window. You can then connect to the interface on the “http://localhost:2000/” URL. You must use the “admin” account with the generated password to log in. If everything has been installed correctly, you should see a display similar to the screenshot below.